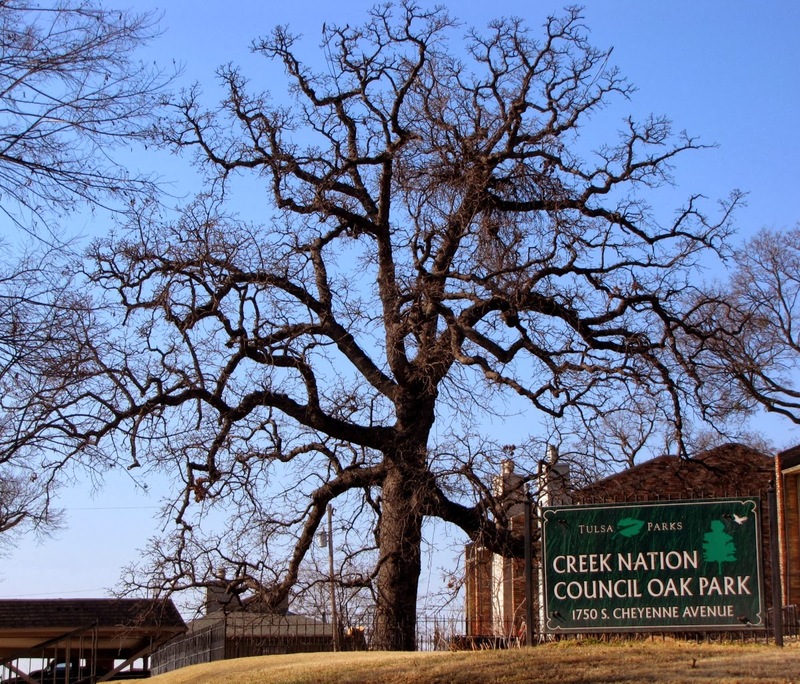 The Creek Council Tree, a mature burr oak, marks the traditional "busk ground" chosen in 1836 by the Lochapoka clan of Creek Indians. In late 1834, they had begun their involuntary migration from Alabama under the control of the U.S. Government. It was a slow and painful trek; of the original group of 630, 161 died in route. Their 1836 arrival was marked with a solemn and traditional ceremony. A "busk" site was chosen on a low hill overlooking the Arkansas River. Here, according to their traditions, they deposited ashes brought over the trail from their last fires in Alabama. 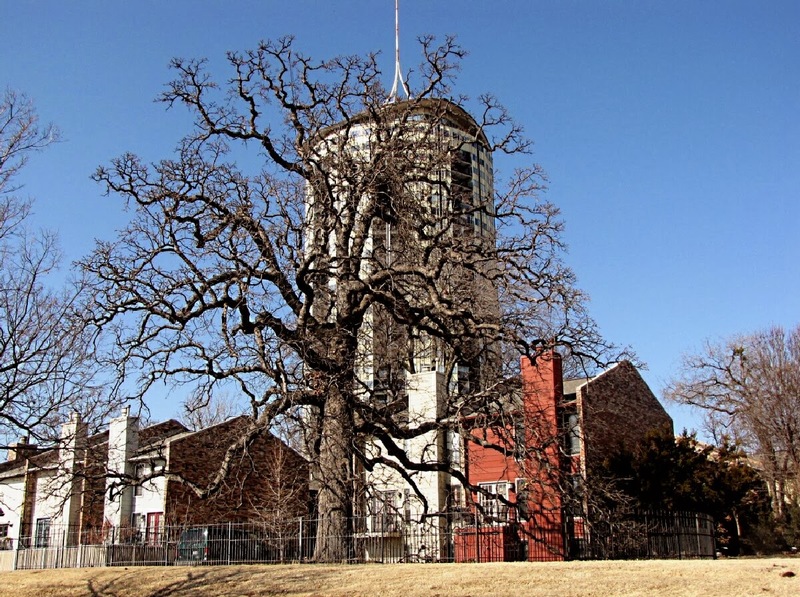 The Tulsa-Lochapoka, a political division of the Creek Nation, established their "town." As late as 1896, the Lochapoka gathered here for ceremonies, feasts, and games. Sue and I visited our son Paul when he was stationed in southern Japan in 2003. Just before we came home we visited the Memorial Park at Nagasaki, the site of the second atomic bomb dropped to end WWII. 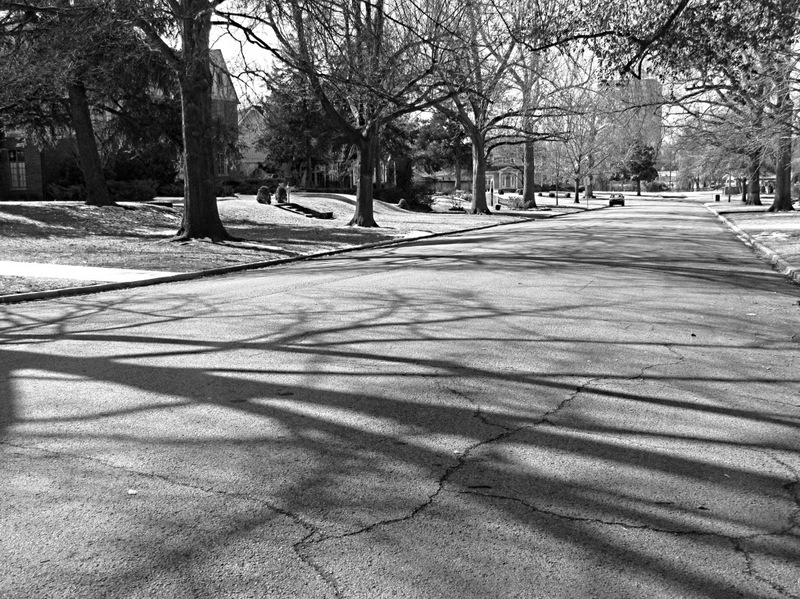 It is an interesting place both somber and beautiful. There are relics and reminders of the terrible events of August 9, 1945. including many statues donated by people of other countries. 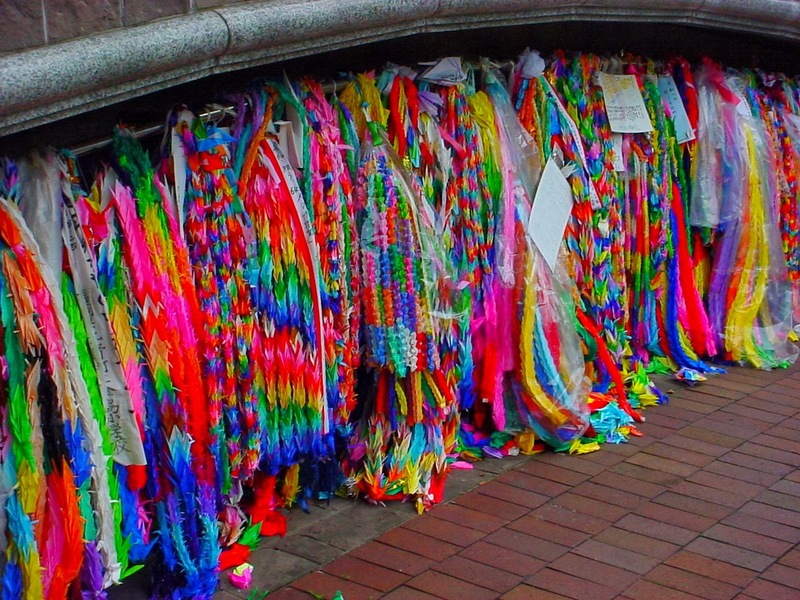 At several places within the park are bright splashes of color, which on closer inspection turn out to be long strings of colorful origami cranes folded from paper by school children from all over Japan. 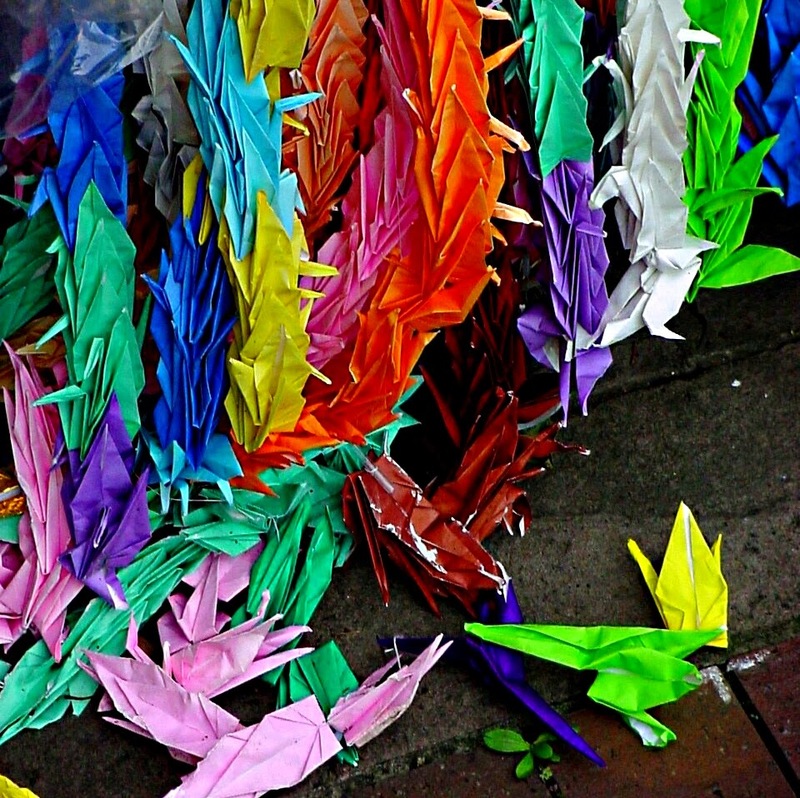 There is a legend that if someone folds one thousand paper cranes they will be granted a wish. The wish here is for peace. 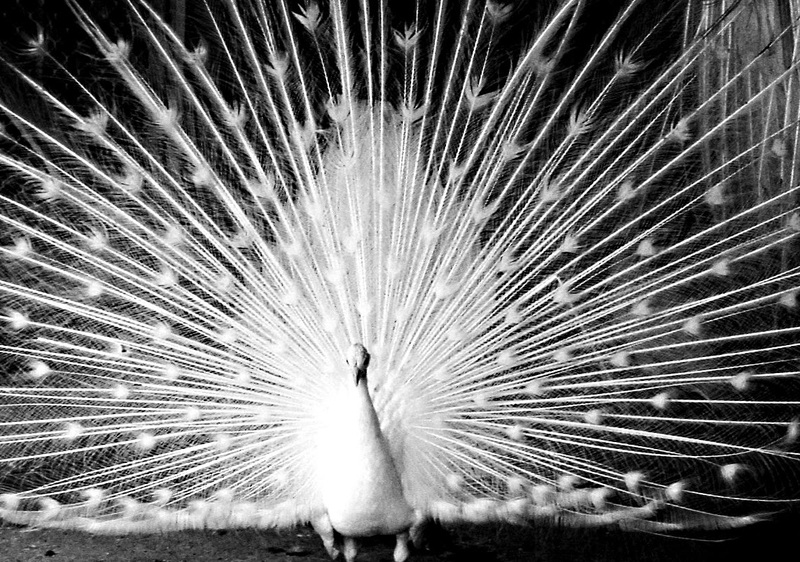 The Peacock Park near Sasebo Japan in the southern part of the islands has the only white peacocks I have ever seen. They are very striking birds, and just as noisy as the more brightly colored variety. Stained glass windows have been an important part of sacred spaces for many centuries. Here are three of the sanctuary windows from Christ Church Episcopal in Tulsa where we attend services and find ourselves involved in the life of the community.